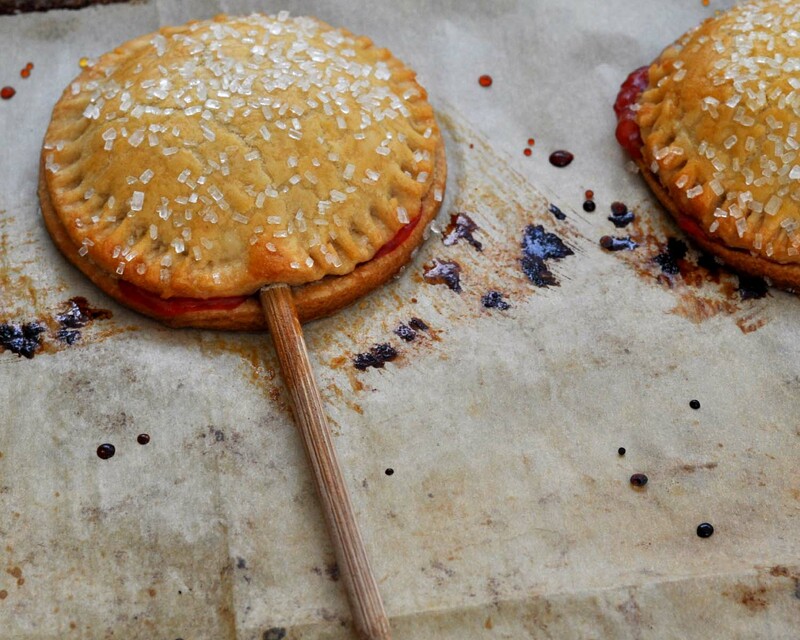 I set out to make some single-serve pies on a stick. 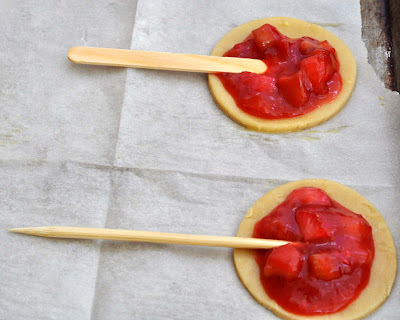 They turned out okay, but I couldn't find food-safe popsicle sticks to save my life, I didn't like these "corn skewers" I tried, then I realized, why do they need to be on sticks? So, I made them without sticks, and you know what? 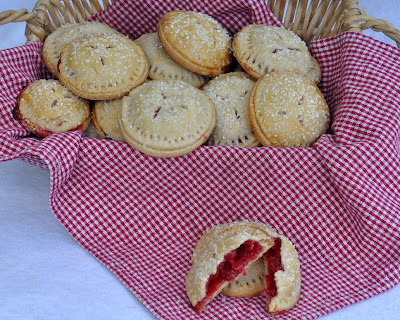 I like them better as "hand pies." Perfect. Portable. 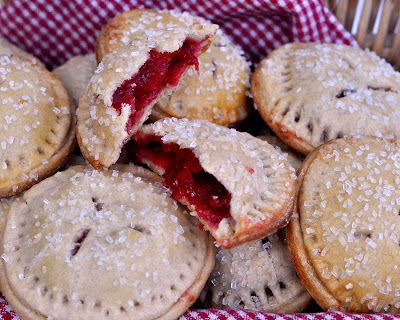 Pies. What could be better? 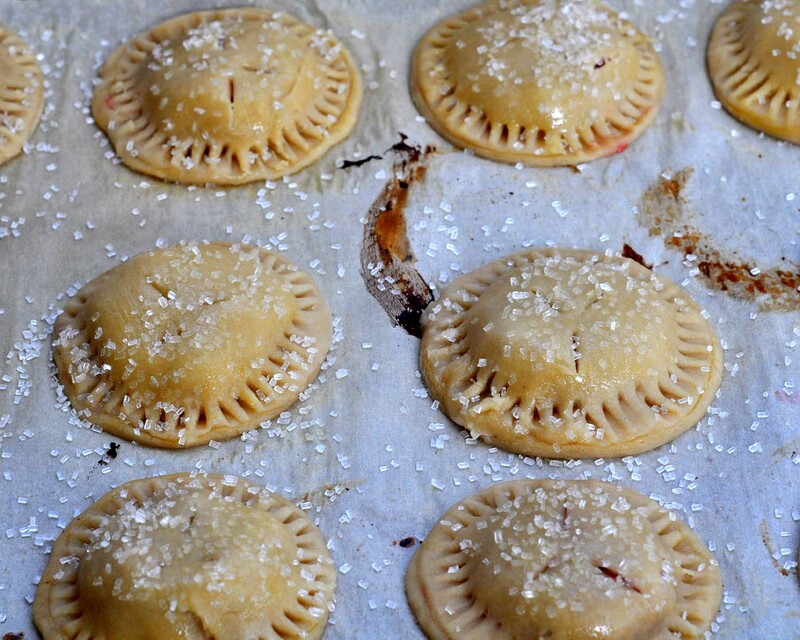 Start by making the filling. This is really just a half recipe of my Strawberry-Rhubarb sauce, with a little extra corn starch added to make sure it's thick enough. In a small saucepan, stir the corn starch and sugar until combined. 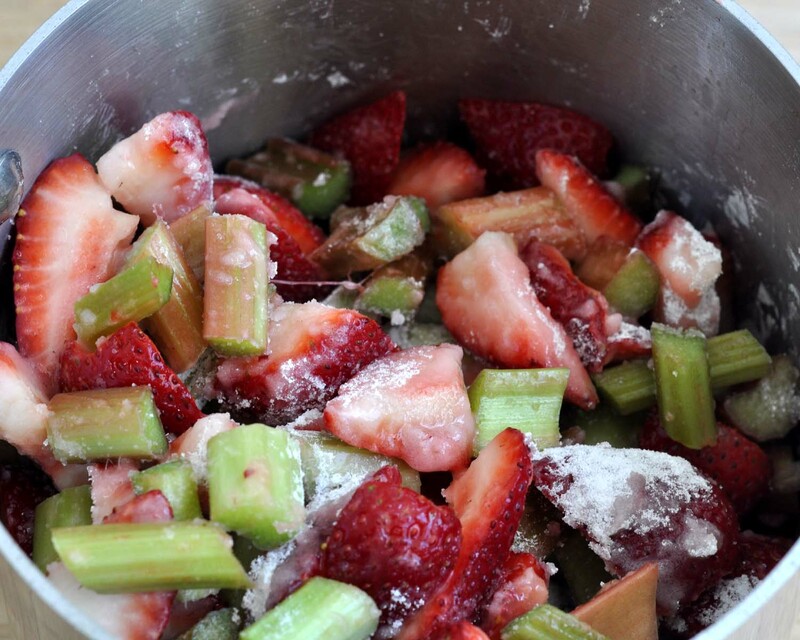 Add the strawberries and rhubarb, and stir to coat. 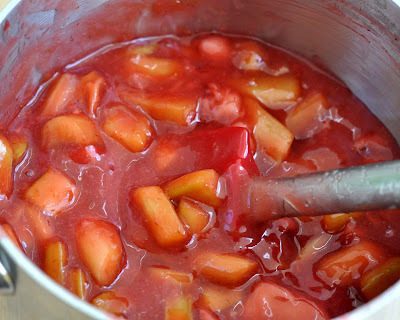 Place over medium heat and stir often until the sauce is dark and thick. (Mine usually takes anywhere from 5-15 minutes, depending on how big of a batch I'm making, and how much heat I have going on the stove.) Add the vanilla, and set aside. Yes, you can just use store-bought pie crust. I prefer homemade, though, because I am a vegetarian, and almost every brand of pie crust at my nearest stores have lard in them. I don't eat lard. Plus, this tastes so much better! This is an easy crust recipe. Try it!!! 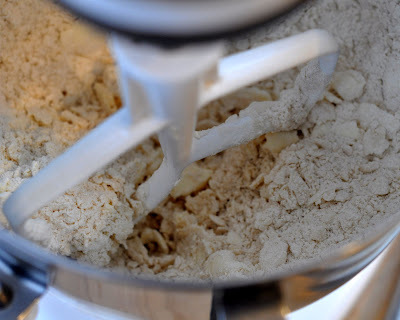 Combine the flour, salt & sugar in the bowl of a stand mixer, or with a whisk. Cut out the pie shapes, two for each pie. 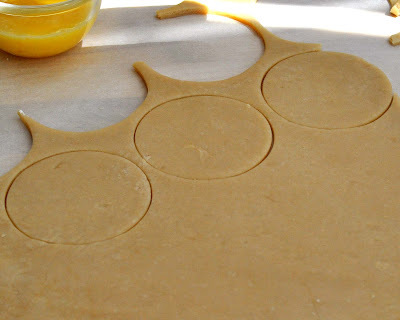 I used a 3" round biscuit cutter. You could do just about any shape you please. I chose round because I wanted to maximize my filling space. Place the bottom crust piece on a baking sheet lined with parchment paper, and brush it with beaten egg or egg whites - this will help seal the top crust on. 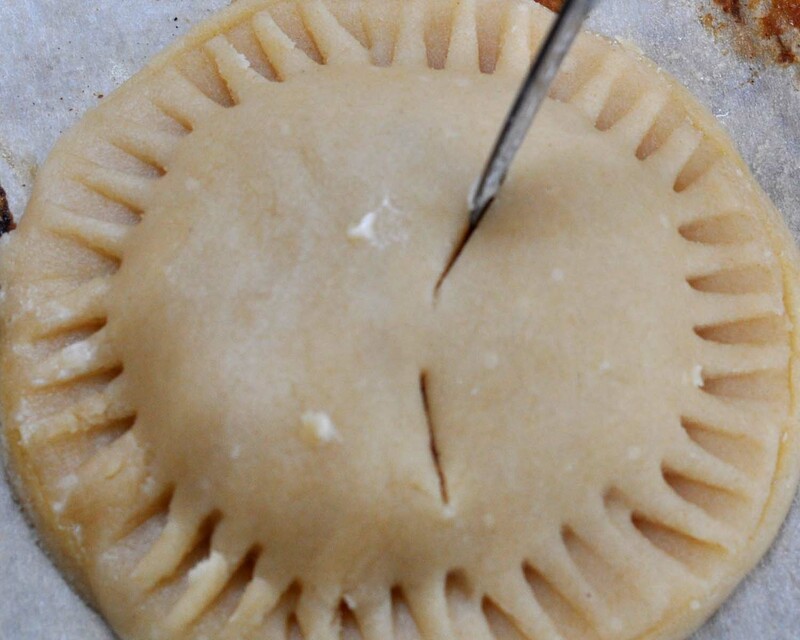 Place a spoonful of filling in the middle of the crust. I was a little heavy-handed with the filling, but I love the filling. So, if you want yours to all look perfect with no pink/red squishing out... go light on the filling (less than a tablespoon). Optional: Add the stick, about halfway in, if you plan to use sticks. Add the top round of crust dough. I found that pinching the edges a little before setting it on top made the top round a teeny bit bigger, and that made it cover the filling better. 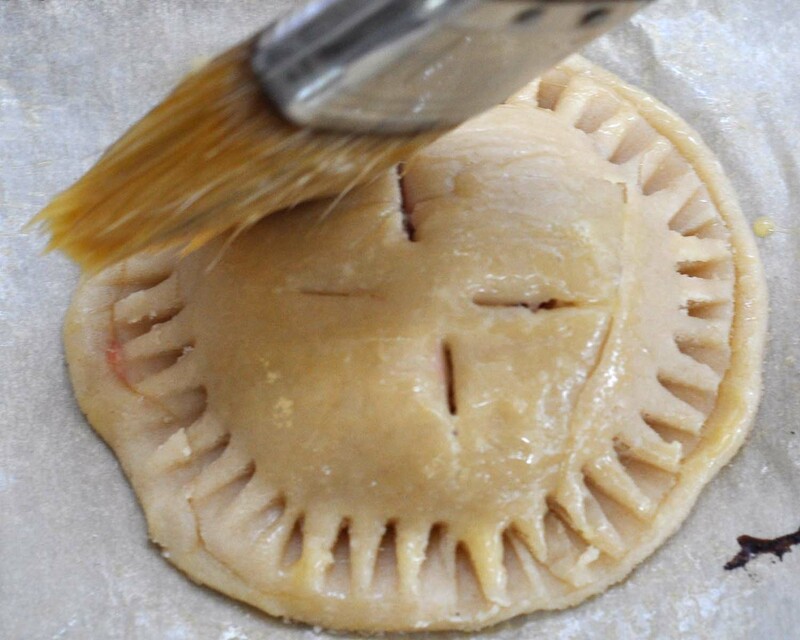 Press around the edges to seal the two pieces of crust together. Optional: If you're using stics, be sure to gently press the crust to the stick as well. Use a fork to gently press to make a decorative edge. This also serves as a better way to seal the edges to keep the filling from leaking out while it bakes. 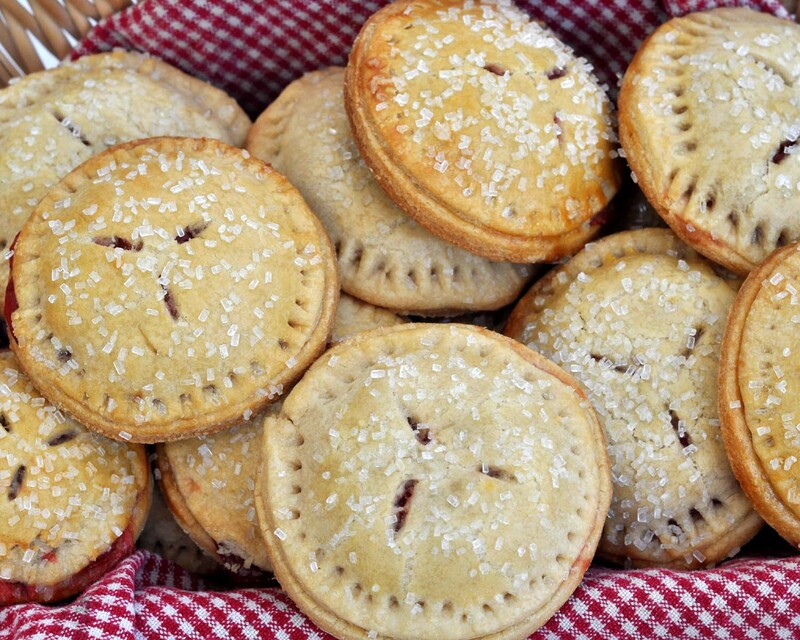 Brush the top of the pies with egg once more, and sprinkle coarse sugar over the top. Bake at 400-degrees (F) for 12-17 minutes, or until crusts are golden brown. 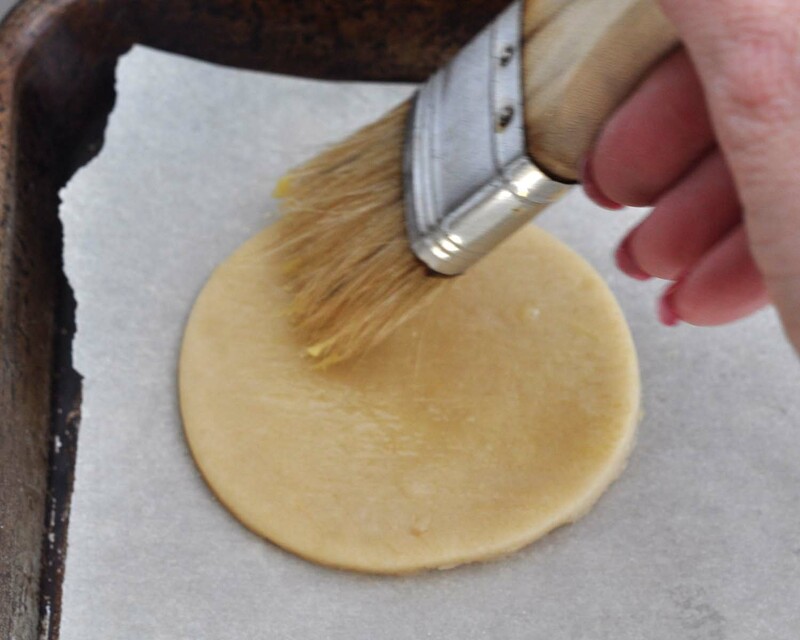 You can see in this picture why you want to line your baking sheet with parchment. 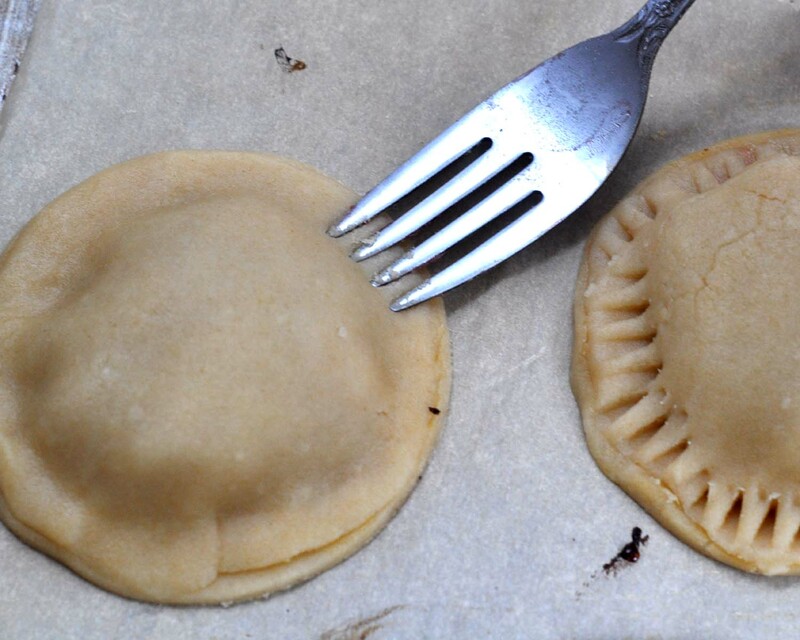 These are messy to make! If you do make them on sticks, DO NOT try to move them by using the sticks until they are totally cooled. 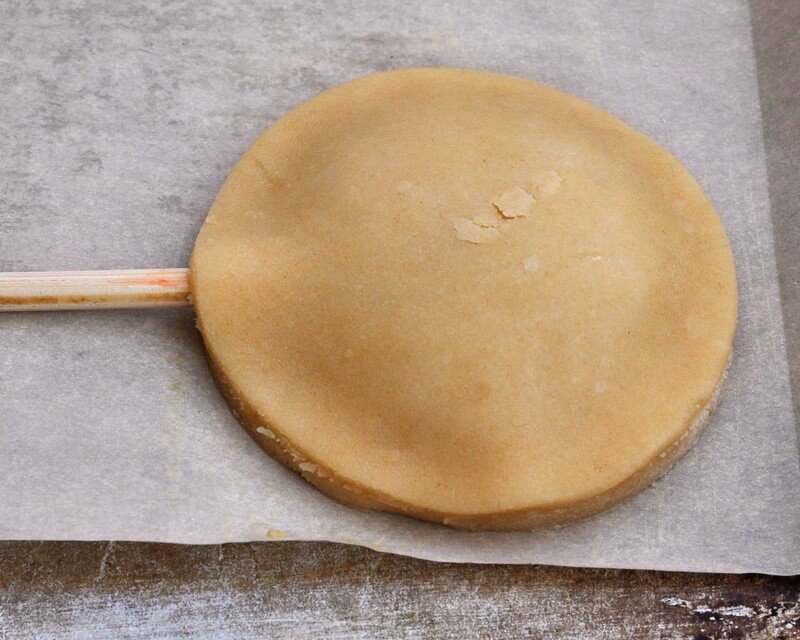 Use a spatula to lift the pie itself off of the tray, if you need to remove it to a cooling rack. These pies are really versatile. You can put whatever kind of pie filling inside that you want. I was also thinking it would be yummy to put things like chocolate and caramel inside. Yum! They're also a lot easier than I expected (when you take the sticks out of the equation). The nice thing, too, is that they don't have to be refrigerated, if the filling doesn't. They really would be perfect to take along for a picnic, or any other kind of activity where finger-foods are best. 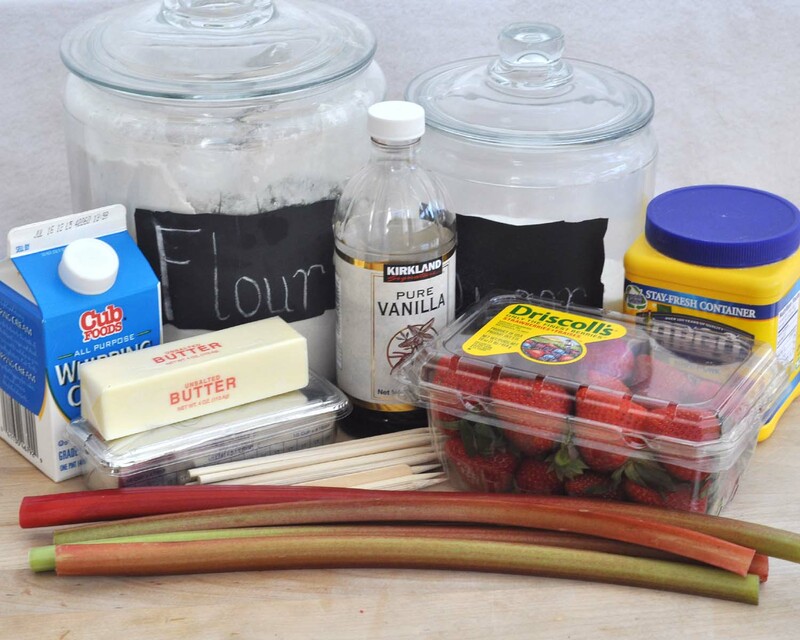 I am really excited to try this recipe! 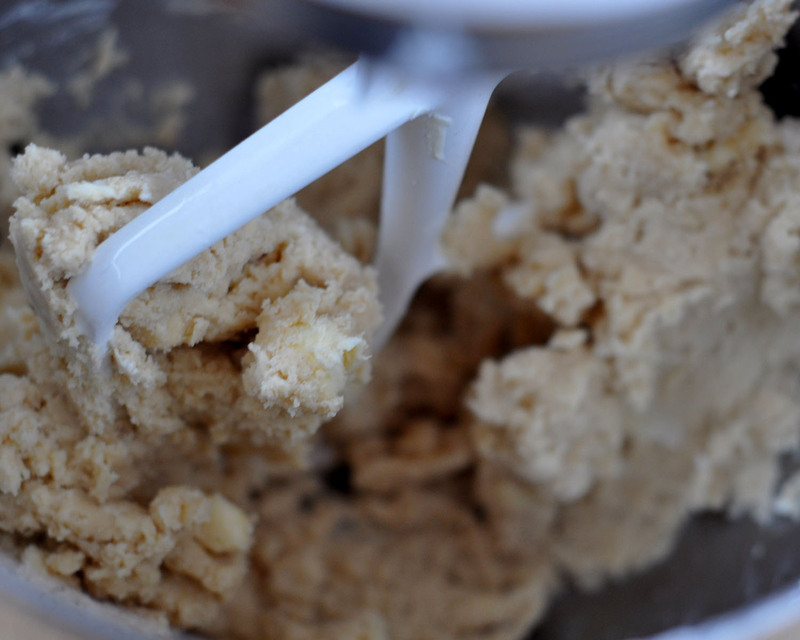 The crust recipe seems WAY better than the traditional pie crust recipe I've used! CAN'T WAIT!